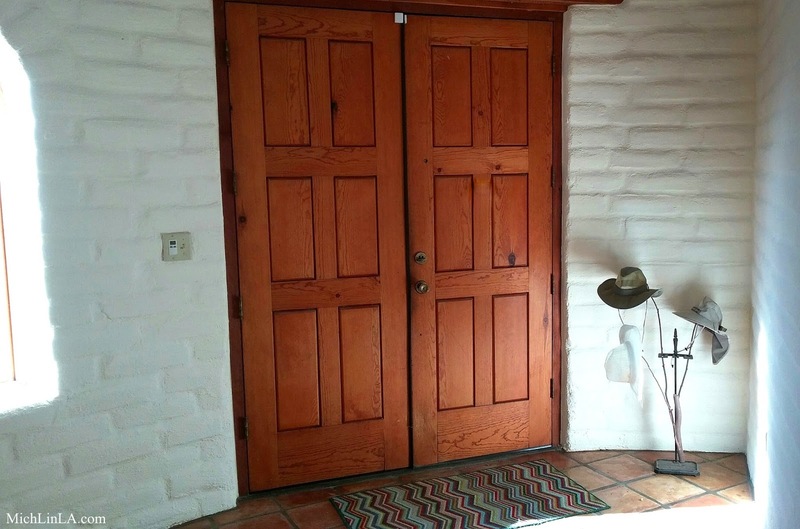 Mich L. in L.A.: My Future Repurposed Entryway: In Search Of Ideas! My Future Repurposed Entryway: In Search Of Ideas! It's an old adobe house in the desert Southwest (just outside Tucson). You might call it a mini-mini-ranch. A mini slice of cactus-studded ranch land, where the original owner raised miniature horses. Yep, one rug and a hat rack. 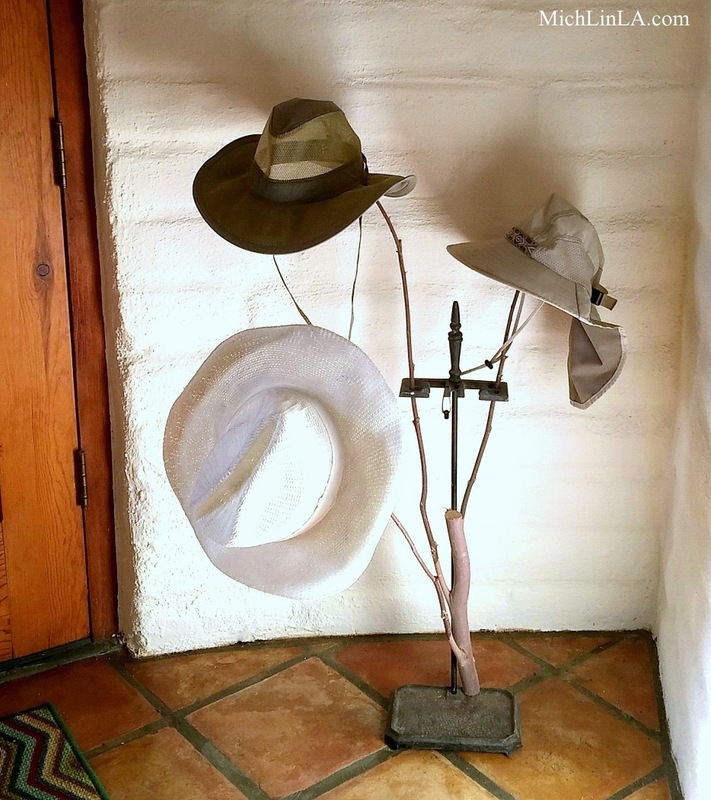 About that hat rack...want a closer look? 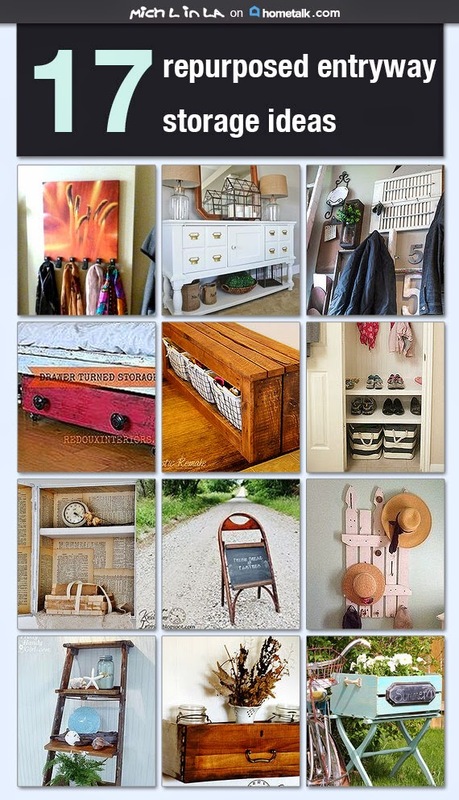 Just click on the graphic to check out some great upcycles that caught my eye. Let me know your thoughts, 'cause I am open to ideas! If you were me, how would you furnish the entry? It would be repurposed treasures all the way! Oh my my, what an awesome project you've taken on. Those doors are fabulous! Will you be moving there or will it be a hideaway? Wao, that's a pretty, And the hat stand is simple but cute! Love the idea that you are going with repurposed, recycled and especially funky!! Tons of great ideas on your board and can't wait to see which ones (or all of them?) that you do! Your house looks marvelous! every entry needs "landing strip and paunch pad" i.e. place to keep keys, stash purse and hang coats. I'd add some sort of mirror and seating (for taking off muddy boots) as well. I really like the dollar store hanger idea and the old drawer into shelf pins. The mini mini ranch looks absolutely fabulous! I can't wait to see more pictures and see what else you make for it.